BOSTON, MA (September 10, 2018) – Hari Ravichandran, the CEO and Founder of Jump Ventures, a scalability infusion firm, today announced the Ravichandran Foundation donation of $250,000 USD ($330,000 CAD) to benefit Artists for Peace and Justice (APJ) and their mission to encourage peace and social justice, working to alleviate poverty around the world. The organization’s immediate efforts serve the poorest communities in Haiti with programs in education and training in creative industries, while expanding the reach globally by partnering with effective local organizations to give young women access to quality education. 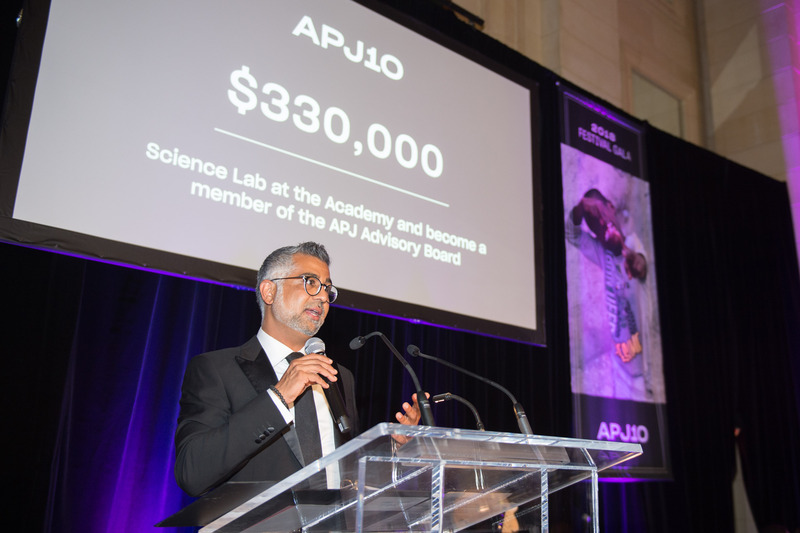 The Ravichandran grant will directly fund the Science laboratory at the Academy for Peace and Justice, which was established after the devastating 2010 earthquake that affected Haiti. The Academy is the only middle and secondary school of its kind in Haiti, providing an education to the poorest and most deserving youth in the city of Port-au-Prince, most of whom can’t afford to attend school after the 5th grade. The 3,700 capacity Academy, where all students receive a scholarship, will have a state of the art science facility where students will be able to study biology, physics, chemistry and geology. “This is an extraordinary gift from Hari and the Ravichandran Foundation that affords our students a real hands-on opportunity to really explore and dig and find their personal passion within science. We have budding doctors and engineers in our student body who will embrace this lab as their own private sanctuary and never want to leave,” said Artists for Peace and Justice CEO, Marchelle L. Sellers. 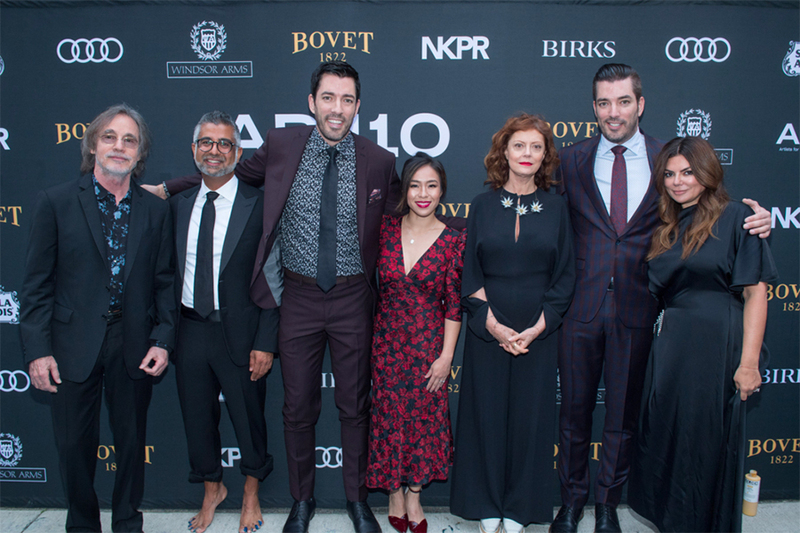 The Ravichandran gift was announced at the 2018 APJ Festival Gala held during the Toronto International Film Festival where individuals who are committed to making a difference in their own communities and abroad are recognized. A Lifetime Achievement Award was presented to Harry Belafonte via video conference for his lifetime of activism and commitment to peace and social justice around the world. Drew Scott and Jonathon Scott received the 2018 Peace and Justice Award for their global work. Based in Boston, Massachusetts, the Ravichandran Foundation is a philanthropic organization founded by Hari Ravichandran, a technology entrepreneur and the CEO and Founder of Jump Ventures, a scalability infusion firm. The foundation is committed to improving health, promoting education and empowering youth locally and globally. For more information visit: ravichandranfoundation.org. Artists for Peace and Justice (APJ) is a non-profit organization that encourages peace and social justice and addresses issues of poverty around the world. APJ’s immediate goal is to serve the poorest communities in Haiti with programs in education, healthcare, and dignity through the arts. The organization is committed to long-term, sustainable development in direct partnership with the Haitian people. The model is simple: APJ believes in empowering local communities, fostering economic growth, and the power of education to change a nation. APJ is based in New York; Marchelle Sellers serves as its CEO. To learn more, visit www.apjnow.org or follow @artistsforpeace on Instagram and Twitter. Click to read PDF of APJ Ravichandran Foundation Press Release. BOSTON, MA (August 16, 2018) – Hari Ravichandran, the CEO and Founder of Jump Ventures, a scalability infusion firm, today launched the Ravichandran Foundation by announcing its first financial commitment of $150,000 to benefit Citizens United for Research in Epilepsy (CURE) and their initiatives to find a cure for epilepsy. For 20 years, CURE has been at the forefront of the dramatic shift in the epilepsy research community from simply treating seizures to enhancing understanding of underlying mechanisms and causes, so that cures and preventative strategies can be found. CURE’s research program is cutting-edge, dynamic and responsive to new scientific opportunities and directions through both investigator-initiated grants and unprecedented scientific programs and initiatives. The Ravichandran gift will directly support CURE’s ‘Taking Flight’ research award which facilitates a promising epilepsy research project and promotes the career of a young epilepsy investigator, allowing them to develop a research focus independent of their mentor(s). “As CURE prepares to recognize the advancements made by epilepsy researchers over the past 20 years, I’m reminded that many of them were initially recipients of a CURE Taking Flight Award. So, I’m very grateful to Hari for his generosity and foresight in funding a next generation researcher whose research could be groundbreaking. Funding young researchers inspires them to devote their careers to studying epilepsy and is crucial to our pipeline of emerging discoveries,” said CURE founder Susan Axelrod. This contribution will also sponsor CURE’s 20th Annual Benefit, which will be held in Chicago on October 15, 2018 at Navy Pier. 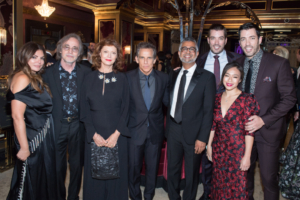 The CURE Benefit will showcase the organization’s 20 years of impact and emerging discoveries. Based in Boston, Massachusetts, the Ravichandran Foundation is a philanthropic organization founded by Hari Ravichandran, a technology entrepreneur and the CEO and Founder of Jump Ventures, a scalability infusion firm. The foundation is committed to improving health, promoting education and empowering youth locally and globally. For more information visit: www.ravichandranfoundation.org. The mission of Citizens United for Research in Epilepsy (CURE) is to find a cure for epilepsy, by promoting and funding patient-focused research. Since its inception in 1998, CURE has raised over $50 million to advance its goal of no seizures and no side effects. To date, CURE has awarded more than 220 cutting-edge research projects in 15 countries around the world. CURE is the leading non-governmental agency fully committed to funding research in epilepsy. For information about CURE, please visit our website at: www.CUREepilepsy.org or contact us at: info@CUREepilepsy.org.